I never set out to be a blogger. Actually, I didn't even know “Blogger” was a career path, I thought it was a hobby like gardening or paper-mâché. I started a blog called Born Free Northern Virginia when I was hugely pregnant and slapped up a post when I had time (not very often), and called myself a blogger. 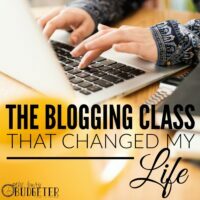 I put a lot of time and energy into it (when I had them) and while I loved doing it, I couldn't for the life of me understand how other bloggers were posting every day and taking such amazing photos. I had NO IDEA that people got paid to blog. When I found out, it blew my mind. Hold the phone, I can get paid to surf Pinterest and help people get their finances under control while I stay at home with my kids? Yes, please. Where do I sign up? I had some reservations though. Surely, I would have to promote some sleazy company and “sell out”, right? Not even close! Kind of the opposite actually. Once I made the decision to do this “right”, I didn't waste any time. I dedicated a year to turning my blog into a business. I started a brand new blog, transferred my old content over to a self hosted WordPress site and got busy. I'm 9 months in and have grown from making $18/month to $2,089/month (and I'm set to be way over that this month!). I don't want to give the impression this was easy though. It was anything but easy. I wanted to throw my computer out the window almost every week while I got bogged down in things I didn't understand. (One wouldn't exactly call me tech savvy). 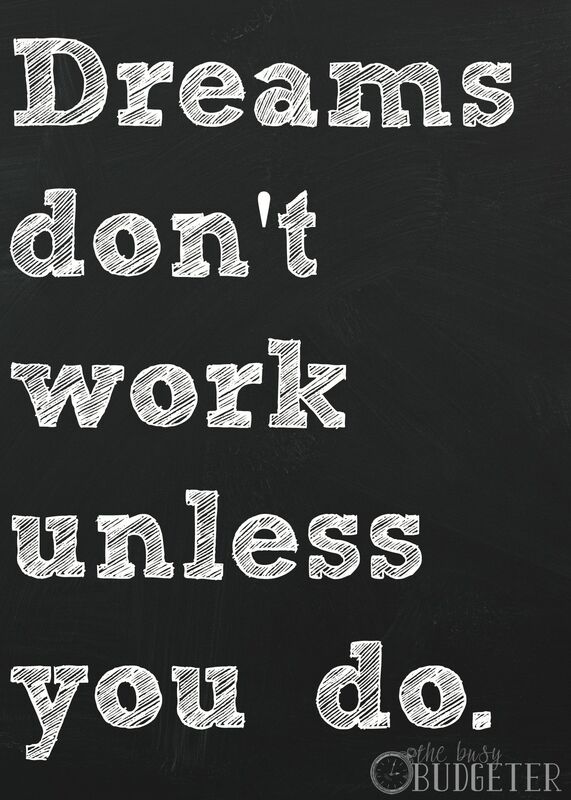 It took hard work, perseverance and a whole bunch of “try and see” to figure out what worked and what didn't. But it was so worth it! While I still have a long way to go, I can finally say that I understand blogging and how to make a living from this. I can't figure out for the life of me why everyone doesn't do this though. I suspect it has to do with the fact that they get bogged down in the same details that I didn't understand. Which really isn't fair. Because if you can just push past that and hang in there, you could have your own business that costs you nothing but time to start. So I created a blogger guide of the things that I used during these 9 months that worked for me. Everything from graphic design, plug ins, hosting service, ad networks, you name it. In fact, I included every single product, training, plug in, and company that I could think of. I let you know how I used them and I only gave you the things that worked (the list of things that didn't work was much, much longer!). I also stuck a pageviews and income guide in there so you can see how my income grew according to my pageviews. The Quick Growth Blogging Resource Guide is available free to my newsletter subscribers. The newsletter will keep you motivated and up to date. I'll continue to let you know what's working for me and what isn't, give you exclusive looks at my income and pageviews as well as answer questions you may have. Because having blogger friends that grow with me (and even surpass me), benefits everyone. Blogs aren't really competing against each other. If you're a Coca Cola drinker, you probably aren't a fan of Pepsi. But if you read The Busy Budgeter, you likely also read The Budget Mama, Thrifty Little Mom, and Debt Free Divas. It's cool, we encourage that! 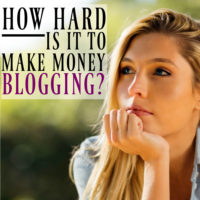 What if you aren't a personal finance blogger? I won't hold it against you. In all seriousness though, the resources would apply to any niche. It won't matter at all. 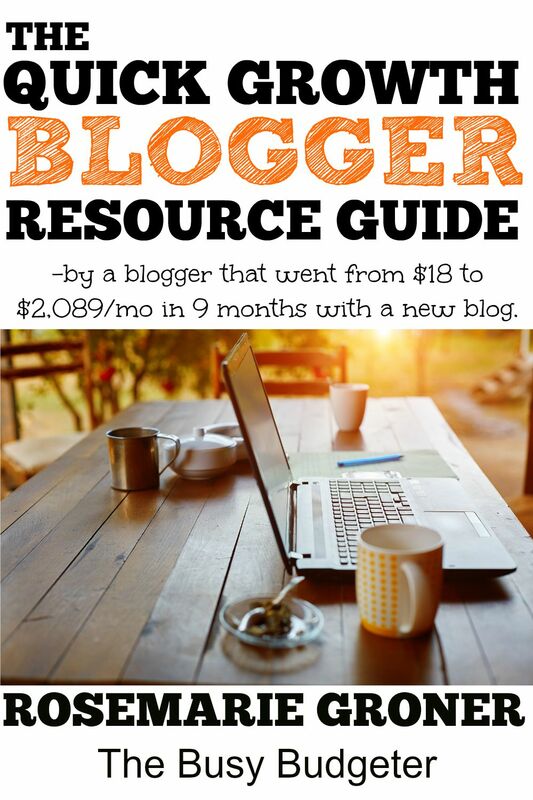 How do I get the Blogger Guide? Stick your email in the bar under this. You'll get a confirmation email sent to your inbox, once you click the link to confirm, then the resource guide will be instantly and automatically sent to you. And one day, we'll both be sipping slushies (cause we're classy like that), by a pool in the Mediterranean and talking about this exact moment. When we got off our butts and made the world work for us. *Mediterranean Slushies not guaranteed with joining newsletter (but it really should be). I’m in the same situation you are. I have started treating my blog like a business for about 5 months now and I’m up to $1600 per month! I love seeing other bloggers have success. I signed up for your newsletter and pinned this post :). Go Ashley! You’re ahead of the growth curve I had! I’d love to hear if you have resources that you love that I didn’t use. It was so overwhelming when I started. I felt like there were 4 million things that I had to do and I had no idea how to do any of them! Hi there! I am in this exact spot (the 4 million things to do, and not sure where to start)… Just at the tip of the iceberg, but I know if I stick with it, it can be GREAT! Thank you for the information. I loved the content! The link to the resource guide keeps saying it can’t find it. I’m in my first month of really working on my blog, and am starting to figure out how to monetize it. I’m really looking forward to reading your guide! Awesome Alexandra! It’s such an amazing and fun process! I wish I had known about this years ago! Looking forward to reading your resource guide, Rosemarie! Thanks Hilary! If you have any questions, or tips I’d love to hear about them! Thank you so much for linking this up. I have been in a rut lately about blogging. I just started monetizing my blog and things seem to be moving extremely slow. I subscribed and will be pining this. Thank you for putting this together. I know exactly how that feels Jessica! It goes really slow in the first few months and then as it speeds up, it grows quickly. Can’t wait to read your guide (and sip Mediterranean Slushies), Rosemarie! I am so excited to read your guide. I can’t wait to see how you did it! Thanks for offering this! I have signed up to check it out. I have signed up for your Resource Guide and hope to use it as a guide to get further into the game. 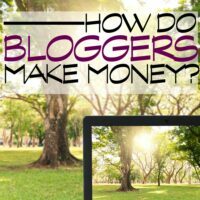 I love writing my blog but I would like to make more money at it. And it is so frustrating when everything you try doesn’t get results. I will start studying. Thanks. Kim Smith recently posted…Palm Trees Are Everywhere In Florida! Hang in there Kim, I know exactly what you mean. When it comes together though and you crack that code, things happen quickly. It gets easier Iyanna! I can remember when it took me 4 days to write one post! As you do it more and more, you get faster, thoughts flow easier, you get your graphic design templates down and and it gets so much easier. Hang in there! Thank you! I’ve been looking for information like this. Awesome Sandra! Happy to help! Thanks so much for the wonderful work you put into helping out us newbies! I feel so lost some days and I am in that stage where you were, where it takes four days to write a post. I want to pull my hair out. I’m doing my best to suppress all doubts. I hope I can persist as you have! You’re very welcome Billie Jean! Thanks so much for the nice reply! Love the slushies joke. I’ve just signed up for your newsletter and guide. I look forward to reading. Thanks Jennifer! We like to have a good time over here! I hope you enjoy the guide! I just hopped by from Motivation Monday to read you compelling blog post. As a two year blogger, I am still trying to learn important blogging tactics to propel growth. Thanks for your great suggestions. Thank Deborah! So glad I could help! okay, lovey! I’m signing up. I get the most overwhelmed by the technical stuff. I am in the middle of doing EBA so this is a nice resource. And it is very encouraging. Thanks for posting. Thank you so much! I am currently working on creating a blog and here in less then 2 months will be taking my girls out of daycare and dropping down to a very part-time position at my job. I am scared and excited at the same time. 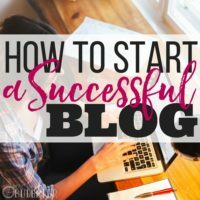 I’ve been reading your blog and a few others on how to create a successful money making blog. It is helping give me courage and confidence and a lot of inspiration. I look forward reading your resource guide. Thank you so much for this! I love to write (though, lets be honest, I’m lacking some skills) and I would love to make my blog my career. It’s a daunting task! I haven’t received/read your guide yet but just your positive experience and attitude in this post cheered me on! Here’s to working towards those slushies cause this rainy spring weather is killin’ me. The sunshine has to come out eventually! Stay focused on your goals and who knows what this time next year will look like! Hi Rosemarie! Absolutely love your posts and appreciate all your help! Is this the same list that we got when we signed up early for EBA? Hello! Just found your blog and signed up! I look forward to learning what you know and putting it to good use! Thank you!!!! I really want to do this! I need to, I have some debt and need a way out that lets me stay at home and not work a 2nd job outside of the home. It just seems so overwhelming. I have been researching this for awhile now, but Im still afraid to put out the initial money, I dont have it to waste if it doesnt work out. I have been doing a lot of research before I start the blogging process. Can I ask How many blog posts did you have before you actually went live and started publishing your content? About 30 Audrie… Now though, I would do about 15. Signed up! I look forward to reading the resource guide. I’ve been working on my blog for almost a year and there’s lots of room for me to improve. Thanks! I have subscribed. Looking forward to read your guide. Thank you for linking with us at #HomeMattersParty . We would love to see you again next week.